Find CDL license training in West Virginia at CDL Career Now. We work with truck driving schools all over the US and have helped thousands of Men and Women find a school and get an entry level truck driving job. These schools have WV CDL class A and B tractor trailer, bus, tanker truck training programs, endorsements classes and some of the best trade school programs too. Get job placement assistance after passing your CDL training classes if you qualify. There are no all-online West Virginia CDL classes but some schools do have part-online training programs. 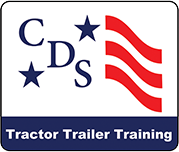 Use the CDL training search application to find your school.